7th April of every year marks the celebration of World Health Day to create awareness of a specific health theme to highlight the priority area of concern. 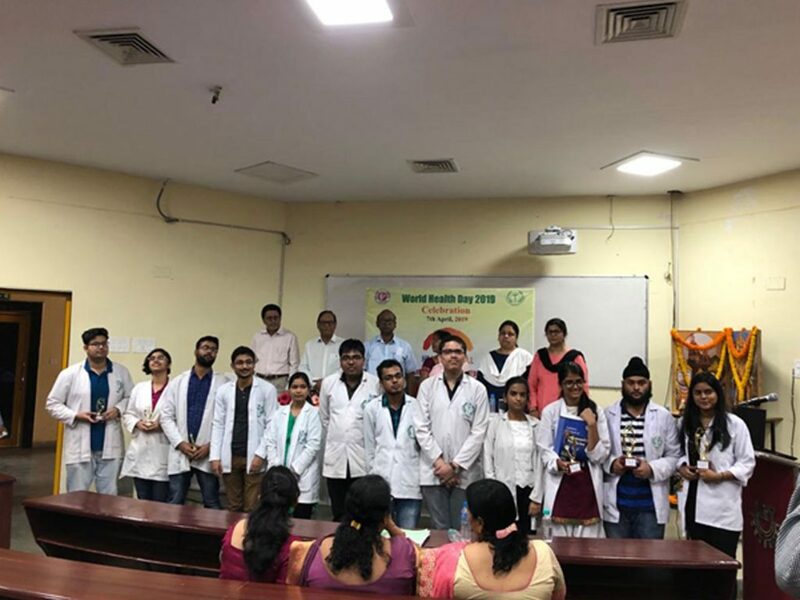 This year (2019) the theme of World Health Day was “Universal Health Coverage, Everyone, Everywhere.” Which was celebrated by Department of Community Health Nursing, KINS in collaboration with Department of Community Medicine, KIMS. A nationwide quiz competition was held among MBBS students under the aegis IAPSM (the apex body of Community Medicine). Students of KIMS represented in the quiz with enthusiasm. Many students participated in the elimination round and four teams were selected for the final round quiz. The students of 2nd semester won the competition held on 6th April. Dr. Alpana Mishra organized the quiz as the nodal person for KIMS with the wholeheartedly support from the HOD, faculties and postgraduates of Dept. of Community Medicine KIMS. A panel discussion was conducted on 8th April by the M. Sc Nursing 1st year students of KINS which based on the theme. 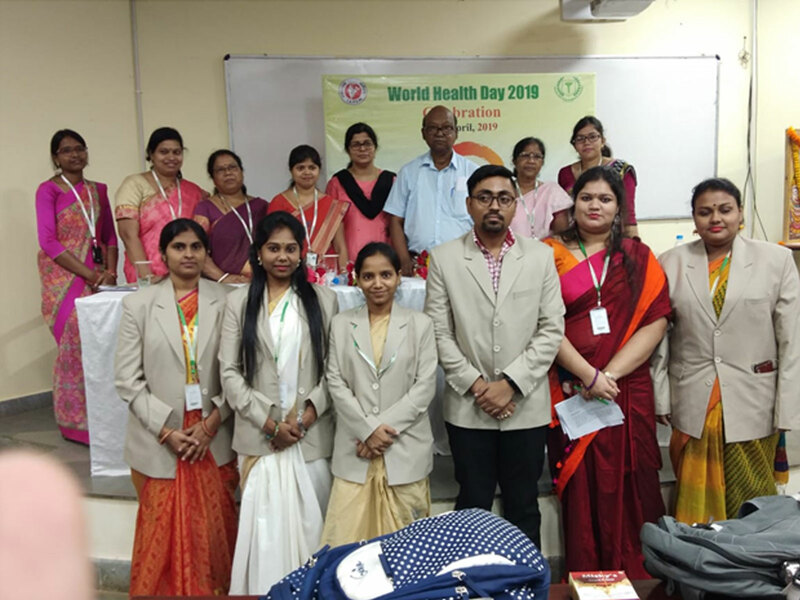 There was a poster competition based on theme among the B. Sc nursing and GNM students held on the day judged by Prof. (Dr.) Sonali Kar and Dr. Ipsa Mohapatra, Dept. of Community Medicine KIMS; Prof. Mrs. Niyati Das and Asso. Prof. Mrs. Kalyani Rath of KINS. A formal meeting chaired by Prof. (Dr.) O.P. Panigrahi, HOD, Community Medicine, commenced with lighting of the lamp by the Chief Guest Mr. Panchanan Parida, Management Representative, PBMH, KIMS and other dignitaries like Prof. Mrs. Amarita Lenka, Principal, CON, KINS and Prof. Dr. Rabindranath Rout, Senior Professor, Community Medicine Dept., KIMS. Finally the programme concluded with prize distribution to the MBBS, M.Sc. (N), B.Sc. (N) & GNM students and Vote of Thanks. It was successfully organized with the joint effort of Dr. Alpana Mishra, Asst. Professor, Dept. of Community Medicine KIMS; Mrs. Soumya Sonalika, Asst. Professor; Mrs. Truptirekha Swain, Tutor; Mr. Nityananda Pattanaik, Tutor and Mrs. Sasmita Nayak, Tutor, KINS.